Many is the modern-day evangelical who has attempted to harmonize the plain sense of the Scriptures with Big Bang cosmogony, concepts of stellar evolution, and a uniformitarian framework for Earth history. This exercise seldom results in a tempering of secular thought but rather in a compromising reinterpretation of Scripture, making it say something it clearly does not say. The Bible says that “the worlds were framed by the word of God, so that things which are seen were not made of things which do appear” (Hebrews 11:3), that all things that now exist were simply called into existence at God’s spoken command. Creation was a true miracle. It was not (as some insist) merely a godly oversight of cosmic processes acting on eternal matter, nor was it the gradual appearance and disappearance of matter in a steady-state transformation. Only a poor regard for Scripture, coupled with an overly high regard for current astronomical theory, could interpret Hebrews 11:3 as the explosion of a tiny, super-dense “cosmic egg” (that did not “appear,” i.e., too small to see), itself the result of a “quantum fluctuation in a vacuum” in a Big Bang which produced the entire universe. 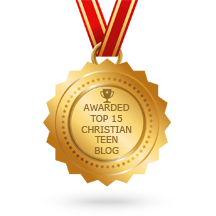 This entry was posted in A CLICK A BLESSING TODAY, CHRISTIAN NUGGETS and tagged stand fast. Bookmark the permalink.